I generally discourage people from building with wood because our forests world-wide have been so badly decimated by over-harvesting trees and it is becoming more critical to maintain our forests, not only to preserve their ecosystems but to help sequester all of the CO2 that is floating in our air. However, building with wood (at least partially) can still be a sound ecological choice, which is particularly true in regions where forests have regenerated to the point that they can be harvested sustainably. This means that the trees are carefully monitored to make sure that the health and character of the forest is maintained; only certain trees are culled periodically, leaving the remaining trees to grow and contribute to a healthy ecosystem. It is possible to buy wood that has been certified by the Forest Stewardship Council (FSC), but if this means that you are buying wood shipped great distances, then this becomes a less ecological choice; use local materials! 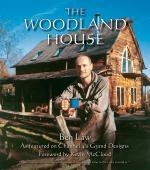 are all ancient methods of providing a rigid framework for constructing buildings. Pole building usually refers to actually planting poles in the ground to secure the structure and provide the foundation, whereas timber framing and post and beam construction require a separate foundation. Because of the difficulty of preserving wooden poles that are sunk into the ground over time, this method is most often reserved for what might be considered temporary or agricultural use, such as for barns or sheds. 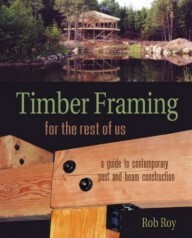 With a minimum of heavy-duty timbers, beams, posts, this technique can create strong and versatile load-bearing structures, which can then be completed by either in-filling between the wooden structural members, or completely wrapping them with a variety of other materials. Since this method of building has been recognized and approved by most code authorities, it is a way of approaching a natural building project that would otherwise be difficult for the authorities to sanction. 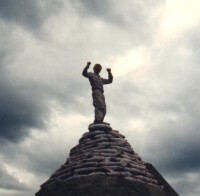 for the construction of super-insulated homes was developed by John Larsen, a builder from Canada, as a means of improving insulation levels in existing houses. The trusses generally have a two-by-four stud which is joined to a two-by-two stud positioned in spaced parallel relation to the first stud to form a twelve inch wide insulation cavity. The two studs are spaced by spacers and are rigidly supported by diagonal cross braces. The wall trusses can be manufactured with the same equipment as utilized in the construction of floor and rafter trusses formed of dimensional two-by-fours. The ability to shop-fabricate the wall trusses using truss plates means that engineered truss members for each job can be supplied, thereby minimizing material utilized while at the same time saving considerable labor over on-site construction. 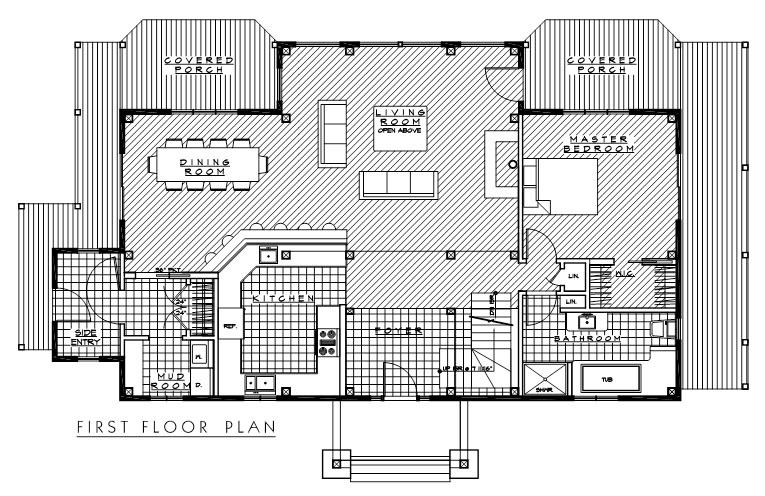 This two-story 3000 sq. ft. five bedroom, two bath, timber-framed house features an open floor plan and vaulted great room ceiling. 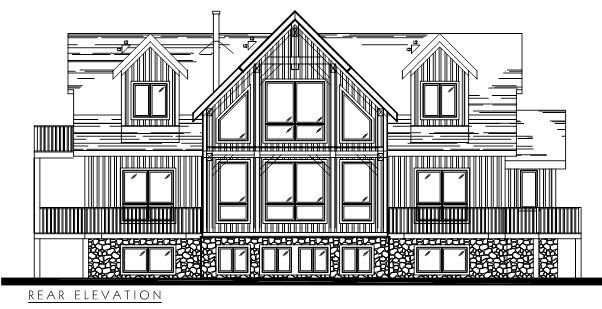 There are lots of covered porches and a balcony for two of the upstairs bedrooms. The full basement is provided with some daylight. popularmechanics.com an article entitled "A House With No Nails: Building a Timber-Frame Home"
wikipedia.org an excellent introduction to timber framing history and principles. fightbugs.com a guide to how to get rid of termites. 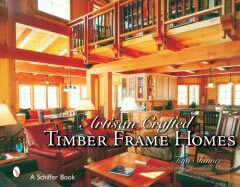 timberhomeliving.com this on-line version of Timber Home Living magazine features plans and articles. 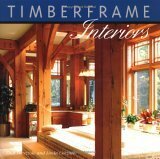 timberframe.org this is the site of the Timber Frame Business Council and features contact information about their members. 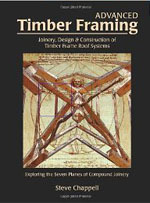 tfguild.org the Timber Framer's Guild provides information on timber framing and hosts two conferences each year. labyrinth.net.au this Australian site has lots of good information about pole frame houses. 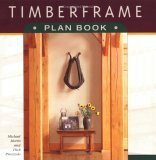 barnplan.com features lots of free pole frame barn plans. 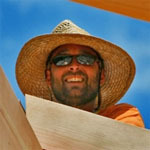 builditsolar.com details the history of the Larsen Truss system and how Robert Riversong has adapted it. 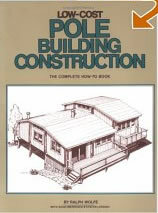 greenbuildingelements.com an article describing how to build reciprocal pole roofs. haikuhouses.com features information about their "Haiku Houses," or country houses of 16th century Japan. 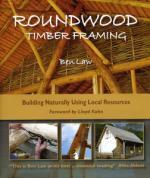 heartwoodschool.com the Heartwood Building School teaches classes in traditional timber framing. cordwoodmasonry.com Earthwood Building School teaches a Timber Framing for the Rest of Us workshop once a year in the Spring. 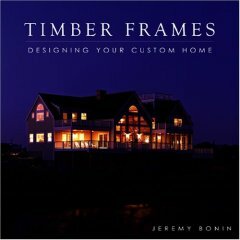 davisframe.com a photo gallery of timber frame houses. foxdesignstudio.com a portfolio of timber framed homes. 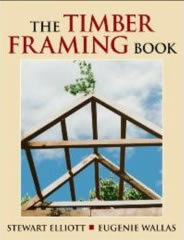 timberwork.com provides materials for pole and timber frame designs. 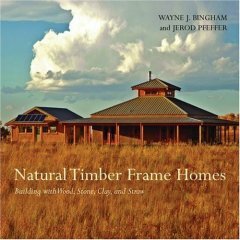 corrim.org an analysis of the value of using wood for building rather than steel or concrete to sequester more CO2. corrim.org details how it is better to use wood products that preserve their inherent carbon rather than letting forests naturally decompose.